The Teletext Preservation Project, and its sister site Viewdata.org.uk, aim to hunt down and archive as many pages as is humanly –and indeed robotly– possible. The 2006 VBI Microtel project was a channel broadcast on Dutch teletext for the 35th International Film Festival in Rotterdam. 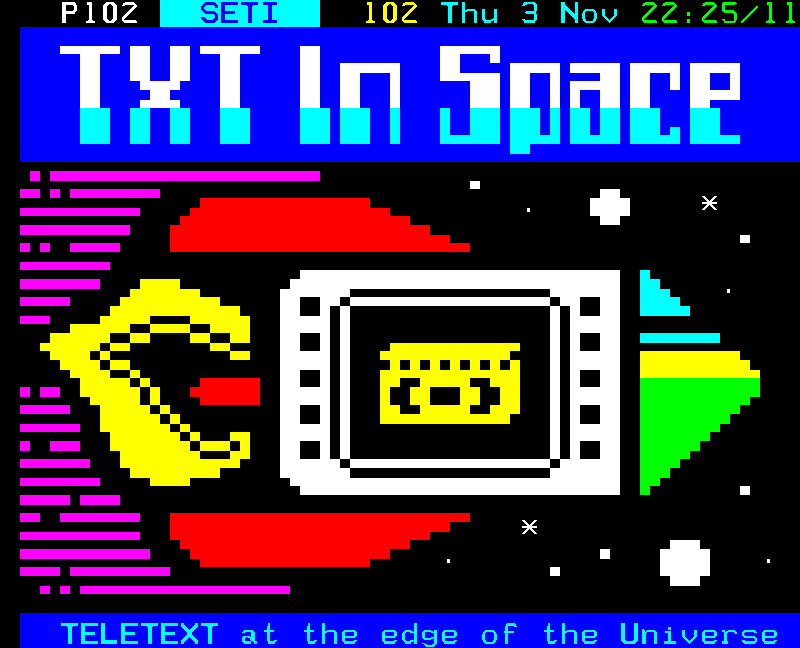 During its all-too-brief lifespan, it exhibited numerous artists’ teletext designs. The Illarterate Blog occasionally hosts new teletext-related news and editorial content.